All In One PCs From HP - With 26&quot; Touchscreen And Blu-Ray ! 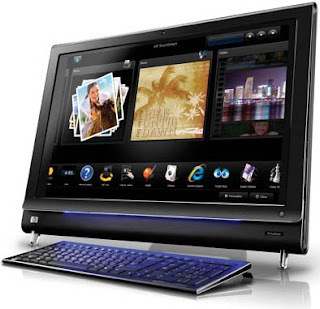 All In One PCs From HP - With 26" Touchscreen And Blu-Ray ! 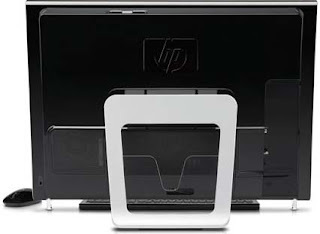 HP has planned to unveil its updated Touch Smart all-in-one PC tonight. This will be the higher end home theatre with some different applications like iMac. This IQ800 model PC features a 25.5-inch screen and 1920 x 1200 resolution of display. 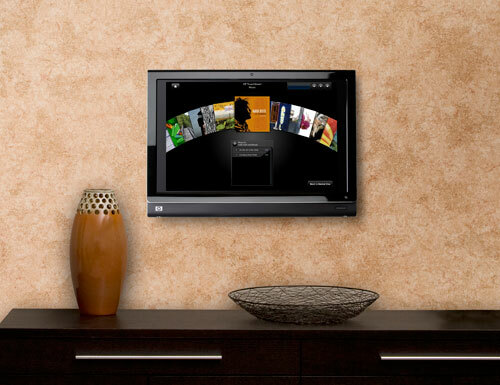 This system offers a Blu-Ray combo drive capable of 1080p video and ATSC/NTSC TV tuners. 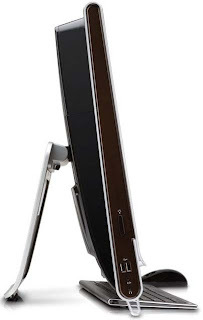 System has an ambient lighting on their chins which illuminates the wireless keyboard. We can have two models, they are IQ800 and IQ816. IQ800 features 2.16 GHz core 2 Duo, 4GB of RAM, 500GB Hard disk, a DVD burner and a GeForce 9300M GS for video while IQ816 features Blu-Ray combo drive with a Penryn-era 2.1 GHz core 2 Duo, a 750 GB Hard disk and GeForce 9600M GS video. The price of IQ800 series is $1,899 and the price of IQ816 is $2,099. We can have both models respectively from September 21st and October 21st.